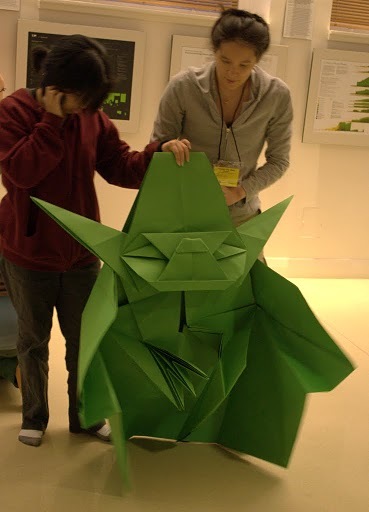 Published February 5, 2014 at 369 × 512 in Origami. How big was the original sheet of paper? It was the largest sheet that we could find locally. I can’t remember exactly, but it was probably an ~8′ square of photo backdrop paper.